Pagosa Springs is Colorado’s secret, and once you visit, we know you’ll agree. Galles Properties is proud to call this beautiful area home and we are excited for you to discover this piece of paradise for yourself! Call and let us know how we can help you call Pagosa Springs “home”, as well. 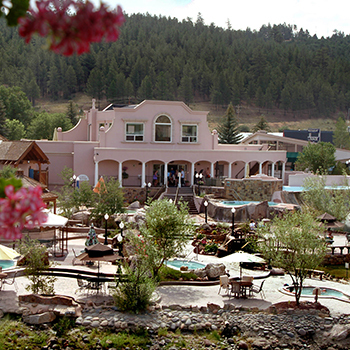 Pagosa Springs is most well-known for its mineral-rich hot springs that are known for their therapeutic qualities. If that is all that you thought this town has to offer, then you will be surprised to learn about the wide variety of activities and entertainment that are available year round. Both local and international visitors come to experience the refreshingly authentic atmosphere, and some decide to make it their home. Let Galles Properties show you how you can call Pagosa Springs your home too. Whether your idea of outdoor adventures includes white-water rafting, or reading in a hammock, you are sure to find the perfect options for you! During the summer, the San Juan National Forest provides ample opportunities to indulge in hiking, mountain biking, and climbing. Additionally, there are racing series each year in Pagosa Springs for trail running, rafting, and biking. As summer winds to a close, the types of available adventures simply shift — enjoy cross-country skiing, snowshoeing, and more at nearby, family-friendly Wolf Creek Ski Area. Numerous people come to enjoy fishing at our many lakes and streams. If you’re interested in learning more about fishing in Pagosa Springs, as well as obtaining a license, there are a variety of outfitters that can provide what you need. If golfing is more your speed, then be sure to check out our Pagosa Springs Golf Club! Chimney Rock offers an amazing glimpse into an ancient world. Discover this archaeological site at the southern edge of the San Juan Mountains in Southwest Colorado, and learn about the ruins, artifacts, and ceremonial buildings that were once home to the ancient Puebloans of the Chaco Canyon. Pagosa Springs has a rich arts and entertainment scene thanks to the brand new Pagosa Center for the Performing Arts, a variety of art galleries and year-round events. There are also numerous live performances and music festivals including, Pagosa Folk ‘N Bluegrass Festival, Curtains Up Pagosa, and Four Corners Folk Festival.